This might sound a bit big-headed but I’d like to think that I’m unique and don’t always follow the trend to some degree. But when it comes to loving chocolate, I’m a sheep. Since a young age, chocolate was amazing! Any form would do from milk buttons, Bounty’s, galaxy, you name it I would love it. I’m pleased to say it has taken 24 years (yes I am that age even though I do sound like a nana, with a crochet blanket on my lap), to refine and change my trashy chocolate eating habits. It started by actually enjoying the taste of dark chocolate and quality chocolate, rather the vegetable oil, sugary crap that is now sadly the majority of commercial chocolate. Since then when travelling I try to find chocolatiers to sample the delights of beautiful chocolates! Before Christmas, I travelled to Bruges for the first time to the chocolate capital of Europe, for the Christmas markets with friends. Now, I wasn’t efficient in my chocolate quest, but as luck be have it we ended up in front of The Chocolate Line. The shop is small and was crammed with people like me, look for the next chocolate hit. This shop is well known for their tequila chocolate. Now, I also love tequila. Not the most ladylike drink I know but give me a tequila and gingerbeer any day and I’m a very happy girl. The tequila chocolate comes in a rich dark chocolate shell, with a small sprinkling of sea salt flakes on the side, a lime ganache with a pipette of silver tequila. I and my brother (a fellow tequila lover) joined me in this delight at ten in the morning and something did get lost in translation. 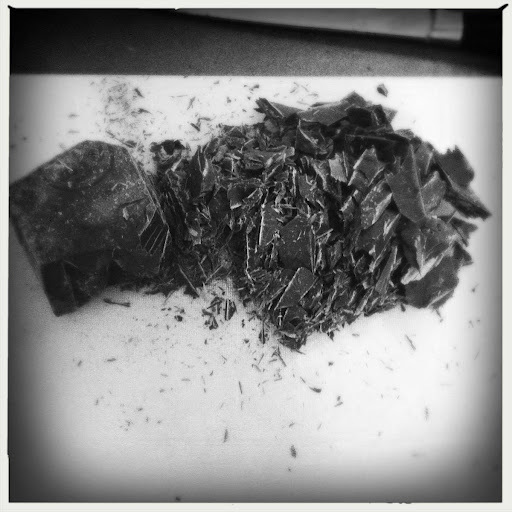 We stupidly tried squeezing the tequila into the ganache, resulting in a delicious mess! What we should have done was, lick off the salt on the side, squeeze the tequila into our mouths then eaten the chocolate. Either way, the result was amazing! To further my quest for delicious quality chocolate, I recently visited Paul A Young fine chocolates in Soho, after seeing post after post on Twitter of his amazing and anticipated salt and pepper brownies. So I knew if I was coming all the way from Bristol, I needed to make it count so I brought with me a fellow FoodNerd, who like me can’t get enough of the rich stuff. 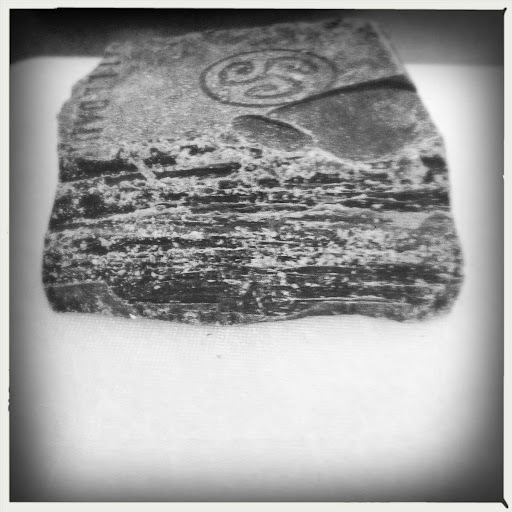 (Who also converted me to Montezuma Very Dark chocolate- now my work draw treat) The shop smells incredible, the air heavy with the scent of beautiful chocolate. We were drawn to the bubbling cauldron on the counter of rich hot chocolate. We shared a cup of the nectar and from a recommendation for the shop assistant tried the spice blend of green cardamom and chilli. The zest flavour of the cardamom worked well with the earthy heat from the chilli. Sorry, no picture- it just didn’t last that long! I bought the aforementioned brownies but also treated myself to their Easter brownies- wow! 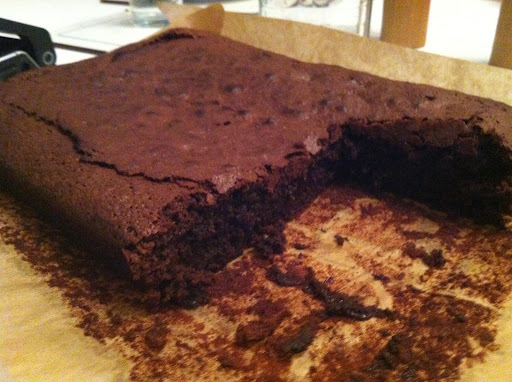 Spiced plump vine fruit-studded rich fudgy chocolate brownie with a marzipan crust. Like the baked cheesecake in New York at Carnegie Deli – no others would now compare, once I tasted that brownie I was ruined to all other shop brownies. Why try others when they can’t beat perfection? Again no picture – didn’t last long enough! Get yourself one before they stop making them, you won’t regret it! 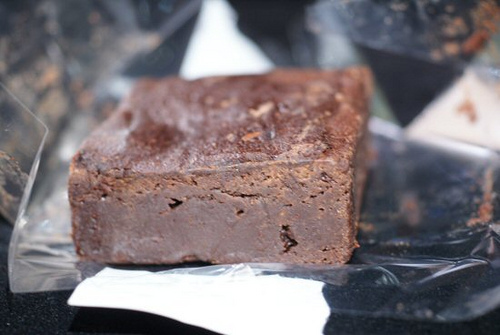 The salt and pepper brownie was…… as all the other bloggers have said, amazing! The subtle salt makes the chocolate flavour sing and the fruity peppery notes work brilliantly with the salt and chocolate. I also bought their recipe book and have pawed at it many times since buying and keep changing my mind as to the first thing I want to make, it all looks so good! Next time I’m loading up on their truffles! All this talk of chocolate made me want to dust of my mixing bowls and make some brownies myself! From all my recipes books and countless recipes for chocolate brownies, I have found the easiest and the recipe that gets the best consistent results is from Liz Franklin Brownies and Bars, No Nut Brownies. I think brownies shouldn’t have nuts – there I’ve said it! Walnuts just ruin it for me, why put in something that takes the space that more chocolate could take?? So after the damp Easter, I spent the morning baking and as a result will have more posts coming up! So the No Nut Brownies couldn’t be any easier- one saucepan, no crazy whisking until you see your future in the glossy appearance and arms dropping off. 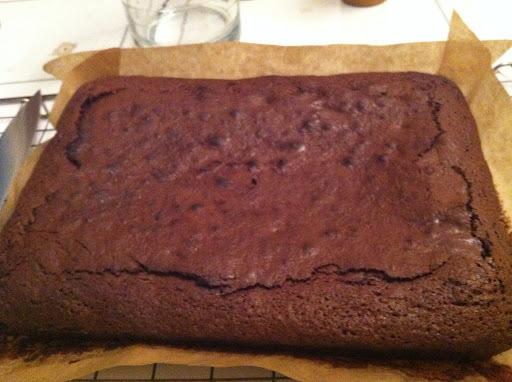 I’ve kept the core recipe the same as Liz’s but do add extras and have dropped down the cooking time slightly so the brownie is nice and gooey with a minimal sugar crust on top. Don’t add a shy amount of the chosen extras! Oven to 180C and line a large rectangle roasting tray with parchment. I’ve tried this recipe out in a silicone case and doesn’t work that great really. In a large sauce pan, melt the butter, sugar and cocoa powder until the mixture is smooth over a low heat. Take off the heat and stir in the flour, it doesn’t need to be folded in as you would for a sponge, just a good mix so you don’t have any flour streaks. Mix in the eggs one at a time until all incorporated. Mix in any extras you fancy adding in at this stage. For these brownies I had a huge chunk of 72% cocoa solids fairtrade converture, that I had a kilo for a gift, that I’ve been chipping away for a long time making fudge, cakes and brownies with. Pour into the prepared tin and bake for 25 mins until the brownie has set but still has a slight wobble as it will carry on cooking for a while after it’s taken out of the oven. Leave to go warm then serve with ice cream, custard, crème fraiche, fresh fruit or just on it’s delicious own. I love that 'dive right in' is coupled with an image of half the brownie gone, haha! I'm a big fan of dark chocolate myself, especially Hotel Chocolat, mm. Or anything from there to be fair. Give me a hunk of chocolate over a hunk of man anyday!